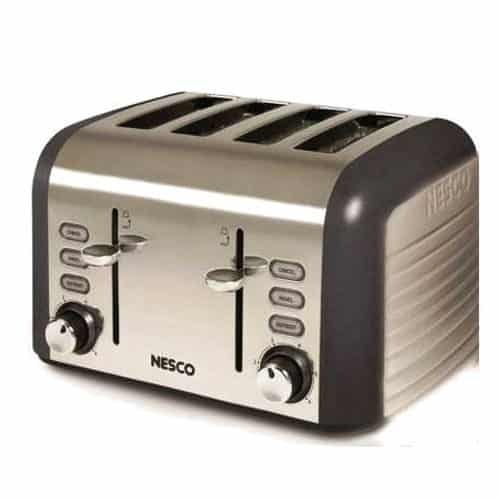 Nesco® offers a variety of two slice toasters for the individual or four slice toaster for a family. 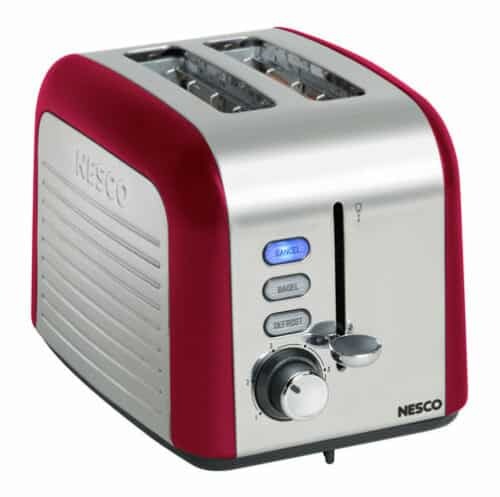 These are beautifully designed with stainless steel, and not only look great in any kitchen, but it also features extra-wide slots that can accommodate your favorite breads, bagel halves, homemade bread, English muffins, hamburger buns, frozen waffles, pop-tarts or other toast-able favorites. 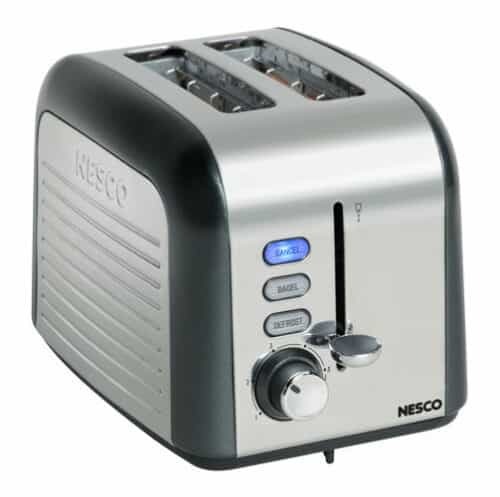 The dual bread guides automatically adjust to the thickness of the slices for perfect alignment and even browning on both sides, while a high-lift lever promotes the safe removal of toasted items.